Driving aids are things that many buyers take for granted in the top-end variants of cars. Yet, not many cars come with them, and some things are added on as aftermarket accessories. These include features such as GPS navigation, brighter, more powerful headlights (HID or halogen), parking sensors and Bluetooth handsfree systems. These days most top-end variants of cars offer features such as reverse parking sensors on their cars and many also include Bluetooth handsfree phone connectivity. But these were not the most useful. 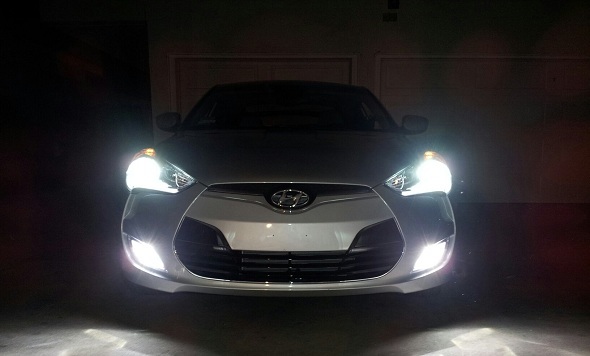 Given our dimly lit roads, most buyers said they would prefer upgrading the car’s headlamps to something brighter and powerful. Cars usually come with 55/60 watt headlamps as standard kit, while those that provide HID headlamps often give 35 watt HIDs, while some high-end cars come with 55 watt headlamps. Upgrading a standard H4 55/60 watt headlamp to a 90/100 watt headlamp is fairly common practice with costs ranging from about Rs. 1,200 – Rs. 2,500 for a full set including wiring harness, bulbs and relay. Parking sensors too are not every expensive aftermarket accessories. Good kits range from Rs. 1800 – Rs. 5000 for a set, depending on if it’s a two-sensor, three-sensor or four sensor system. These can easily be fitted aftermarket. Also read: Are reverse parking sensors really useful? GPS navigation, surprisingly, is something everyone wants. These days cars offer it as OEM fitment in the infotainment system – but such systems are expensive. It’s better to get a standalone aftermarket GPS device or better still a SmartPhone with a GPS, which will serve even more purposes. Share your view on which of these is your most useful driving aid.